Drop is measured from the underside to center of heim. How would you like a panhard bar that is 25% lighter? 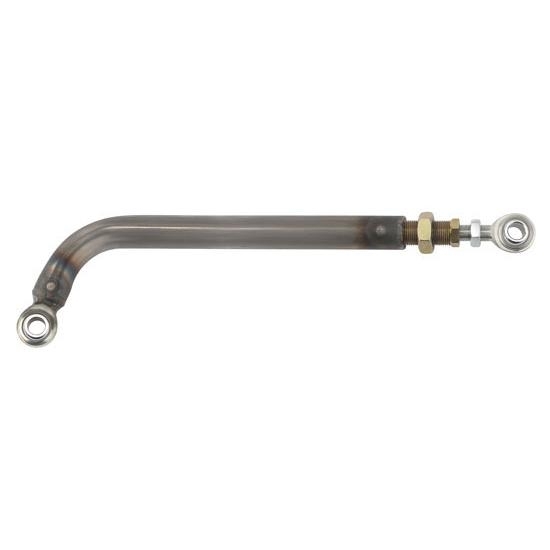 This panhard bar is made of 4130 Chromoly tubing and has an adjuster on one end that allows approximately 2 inches of adjustment. Made with 3/4" heims and 3 1/2" bend. 20" adjusts from 19" - 21"
22" adjusts from 21" - 23"
24" adjusts from 23" - 25"
Note: This J-Bar is designed to absorb energy in the event of an impact and may not be suitable for extremely rough conditions. Select a Length above to see what items are in this kit.